Shop and scan your Frasers Experience (FRx) QR Code at participating stores to enjoy these rewards! A $10 Digital Gift Card is yours when you spend $100 at Waterway Point. Limited to the first 2,500 redemptions. 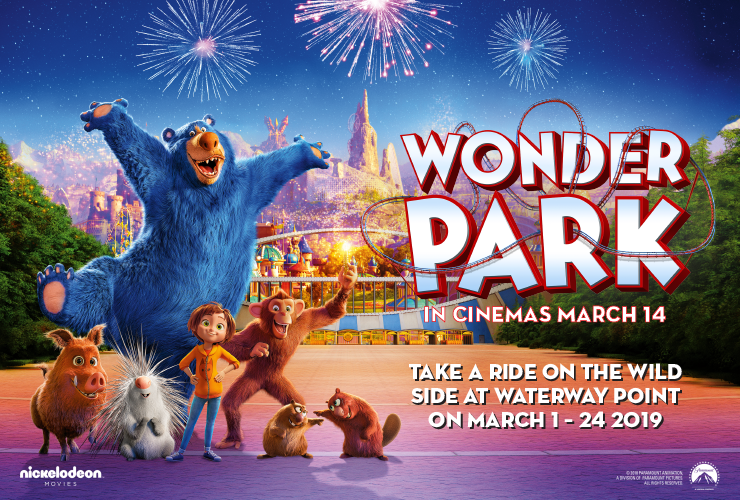 Snag yourself a Wonder Park movie-themed premium & a Wonder Park Movie Ticket valid at Shaw Theatres Waterway Point! Simply spend $150 to redeem. Limited to the first 500 redemptions. Update: The Wonder Park Photo Frame & Wonder Park Movie Ticket have been fully redeemed. Limited to the first 200 redemptions. Update: The Wonder Park Crazy Straw Tumbler have been fully redeemed. 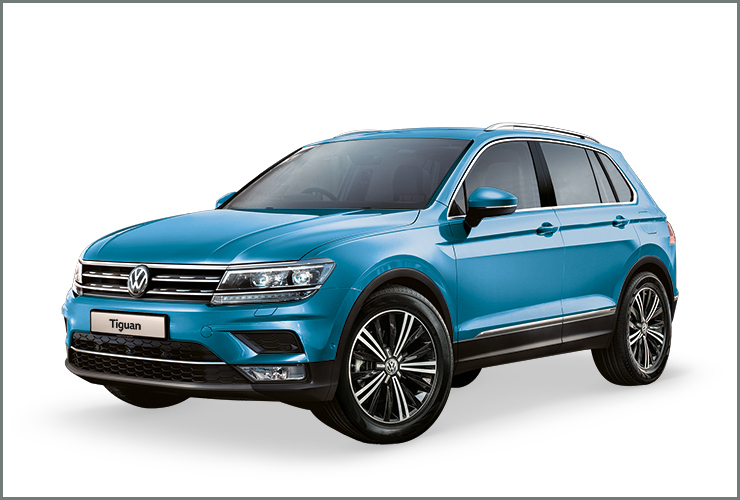 Picture yourself in a sporty Volkswagen Tiguan? Simply spend $30 for a lucky draw chance to drive away in one! Spend $50 and your first hour of weekday parking is on us! Limited to the first 50 shoppers on weekday. Maximum 5 combined same-day, same-mall receipts. Head on down for heaps of awesome Instagrammable moments as well as stuff for the kids to do: a ball pool for them to dive into, Wonder Park-themed colouring session, and a totally cool free badge-making workshop! Build and bring home your very own terrarium in this workshop within the Wonder Park - brought to you by A Tilly A Day. Simply spend $30 for a slot. 1. Frasers Experience (FRx) is Frasers Property Singapore’s new multi-feature app, providing shoppers with a new way to shop, dine and play. Launched to replace the previous Frasers Rewards app, FRx provides an enhanced customer experience, bringing greater ease and utility to shoppers across 14 Frasers Property Singapore developments. 2. Membership is FREE. Frasers Experience is open to all local residents aged 18 years and above, holding a valid Singapore NRIC or foreign work permit. Tourists and shoppers holding on to employment pass, dependant pass and student pass are encouraged to visit the Customer Service Counter to any participating malls of Frasers Property for assistance. 3. To apply, download the Frasers Experience mobile app which is available on the App Store and Google Play and start enjoying Frasers Experience member’s benefits. Details can be found at www.FrasersExperience.com. 4. For instant rewards, please see table below under “B. Redemption”. Participating malls comprises of Anchorpoint, Bedok Point, Causeway Point, Changi City Point, Northpoint City, Robertson Walk, The Centrepoint, Valley Point, Waterway Point and YewTee Point. • Minimum spend of $30 at participating malls in a single transaction to earn a chance. • Lucky draw chances are also tabulated on a transaction basis, eg. if you spend $40 at a store, you receive a lucky draw chance. If you spend $50 at another store, you receive another lucky draw chance. For the spending of $90 in 2 transactions, you receive 2 lucky draw chances. • The car must be registered by November 2019. • Present your member QR code in the Frasers Experience app to verify transaction details scanned to the same account on the day of purchase at Customer Service Counter to redeem a $10 digital gift card. • $10 digital gift card will be credited to member’s e-wallet in the Frasers Experience app. • Present your member QR code in the Frasers Experience app to verify transaction details scanned to the same account on the day of purchase at Customer Service Counter to redeem a Wonder Park Photo Frame & Wonder Park Movie Tickets valid at Shaw Theatres Waterway Point. • Present your member QR code in the Frasers Experience app to verify transaction details scanned to the same account on the day of purchase at Customer Service Counter to redeem a Wonder Park Crazy Straw Tumbler. • Maximum of 5 same-day, same-mall transactions. • Present your member QR code in the Frasers Experience app to verify transaction details scanned to the same account in Frasers Experience (FRx) app on the day of purchase at Customer Service Counter to redeem free weekday parking for first hour. • Limited to the first 50 members per weekday. 2. To qualify for any instant rewards redemption at Customer Service (Level 1, East Wing), members must scan their QR code when making payments at participating stores prior to redemption. The qualifying spend must be scanned to the same Frasers Experience account. 3. For supermarket spending from FairPrice Finest, member must present same-day, same-mall receipts at FairPrice Finest Customer Service to to earn Frasers points. 4. The following transactions are not entitled to Frasers Points and/or Instant Rewards redemptions: non-profit organisations, child care centres, banks and financial institutions, AXS/SAM machines, pushcarts/kiosks/roadshows/atrium fairs and retailers on temporary lease, purchase of retail voucher/gift card/Cashcard/stored value card/prepaid SIM card top-up transactions and purchases, money changers, ATMS, Frasers Property Gift Card purchases, bill/installment payments/deposits, insurance policy payment, SISTIC ticket purchases, lottery tickets, deposits and payment made via cheque, GIRO or Medisave. 5. All instant rewards ($10 digital gift card and first hour free parking) are available on a first-come-first-served basis and while stocks last. All instant rewards must be taken as they are and are not exchangeable for cash or in kind. 6. 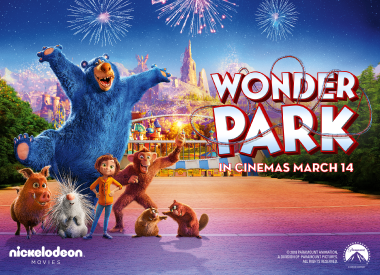 All instant rewards ($10 digital gift card, Wonder Park Photo Frame & Wonder Park Movie Pass valid at Shaw Theatres Waterway Point and Wonder Park Crazy Straw Tumbler) are available on a first-come-first-served basis and while stocks last. All instant rewards must be taken as they are and are not exchangeable for cash or in kind. 7. All instant reward benefits may vary across malls. Please check details at Customer Service Counter. 8. The Management of Waterway Point reserves the right to sight all purchases before granting redemption. 2. Frasers Experience members earn an electronic lucky draw chance with every $30 spent each day at participating malls within the promotion period. Electronic lucky draw chances are registered in the system when the spending requirement is met and when member QR code is scanned. 3. Lucky draw chances are also tabulated on a transaction basis, eg. if you spend $40 at a store, you receive a lucky draw chance. If you spend $50 at another store, you receive another lucky draw chance. For the spending of $90 in 2 transactions, you receive 2 lucky draw chances. 7. Prize car excludes Certificate of Entitlement, Additional Registration Fee (ARF), Goods & Services Tax, Road Tax, registration fee, insurance, IU installation, servicing package and other incidentals. 1. In the event of any dispute, decisions made by Waterway Point will be final and no correspondence will be entertained. 2. Information is correct at the time of printing. The Management of Waterway Point reserves the right to change the Terms and Conditions as it deems fit without prior notice.